Planning a wedding sounds exciting, but in reality, it is one of the stressful things you can experience in your life, especially if you don't have someone to help you. Achieving your dream wedding sounds impossible when you only have yourself to plan for it. Believe us, it's possible to pull off a great wedding with do-it-yourself planning, but it's not going to be a one-person job! Even if you DIY, you'll need the help of others—your husband-to-be, your parents and siblings, your future in-laws, your friends, and anyone who could spare time for you (and keep you sane). It's really that big of a deal, which gives you a hint on why professional wedding planners exist. 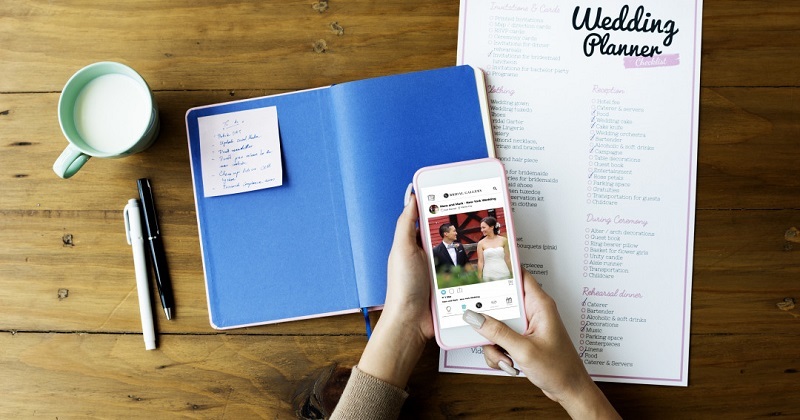 Brides and grooms may have heard already how important it is to have a wedding coordinator, and some of you may have heard of wedding planners, too. What's the difference between a coordinator and planner, really, and which one would you need? We'll talk about that later on, but the list below will give you an idea already how advantageous it could be if you opt for a wedding planner rather than just an on-the-day coordinator. Here are ten reasons why hiring a wedding planner is absolutely worth your money and why you won't regret the wedding expense. 1. He or she makes the impossible possible. Are you one of those people who check Pinterest for great ideas for weddings? You can share your ideas with a wedding planner to help them envision the type of wedding you want. They can even upgrade your idea into something better. Brainstorming with a pro will be really helpful since they can offer insights from the weddings they previously handled or the industry trends that they will surely be familiar with. For instance, you've always dreamed of having a destination wedding, but you're not sure if you can pull it off. You know that it can be challenging to find the right wedding venue, get the right suppliers, ensure every guest is managed well, accomplish all the documents you'll be required to get, and the list goes on and on! There will be a lot of logistics involved, and it will be difficult to survive through it all. With a wedding planner, your dream wedding is possible—he or she can make it work and may even offer complete wedding packages that have all you need. 2. The expert organizes everything. Not good with organizing? Worry not because they will keep you reminded of the schedules! Be it food tasting, fitting, location visits, and anything else in between. They will keep you and everything on track. You just have to relax and focus on your life, your job, and the details of your wedding like your entourage list. All the other major wedding planning tasks can be taken on by your wedding planner. The best part is that you won't need to find and talk to so many wedding suppliers on your own. For the average wedding nowadays, it could take around 20 different suppliers (from individuals and vendors to retailers and companies). Sometimes, you would need to coordinate with more than one person in one company (e.g. caterers with different sales personnel and accounts managers). Your wedding planner can give you referrals, and he or she will take care of the negotiating, the schedules, and the number one priority of making sure you get what you want. 3. Wedding planning becomes hassle-free. We worry a lot when it comes to big occasions because we want everything to go as planned. There are a few couples who end up skipping meals and getting sick. Some brides and grooms even use up their precious vacation leaves just to fulfill all the tasks. Some would even exhaust themselves working while wedding planning at the same time. It's the reality of do-it-yourself wedding planning, and it's not a pretty picture for a couple who just wants to prepare for and have the best day of their lives. Hiring a planner with hassle=free wedding packages will mean that you have more time for rest, work, and other things you need to take care of. He or she will be in charge of the nitty gritty of your big day, such as the coordination with suppliers and the finalization of the details with them. If there's a problem that pops up, your planner will make sure it gets resolved without you experiencing hassles. You will get enough beauty rest for your wedding, hopefully! 4. You get help with managing your wedding budget. Having an expert help you with budgeting can make your life easier, definitely. Plus, setting your wedding budget is one thing, but sticking to it is a whole different ball game. Professional wedding planners would usually have template budget sheets or checklists for all the wedding expenses you need to prepare for. They can help you realize that there are costs you won't expect but you really need to allot a portion of your budget on. They can give you estimates based on their experience, too, so you can prepare for it or save enough money for the event. Lastly, they can keep your expenses in check and ensure that you won't end up broke just because of your wedding. 5. He or she knows credible suppliers. Being in the wedding business means they have known several suppliers before they started to venture. Thus, it's easy for them to give you the name of the company with the best quality of flowers or the most gorgeous cake you’ll ever see! You can find out which photo-video coverage company won't let you down and which caterer will have the most value-for-money offers. You can even get insider info on some of the big names in the wedding industry. You can also get a full wedding package from your planner, so you don't have to worry about the major suppliers. It's becoming such a problem now in the Philippines to know who to trust, especially with such a major event. Your planner will make sure you won't get scammed. He or she does background checks and never recommends companies or vendors who don't have a good track record. If there will be a glitch or a concern that needs to be resolved with the supplier, your planner will take care of ironing it for you (instead of you or a relative of yours being the one who gets stressed on your wedding day). 6. You can discounts, sometimes, too. No matter how good we are in negotiating, there are only slim chances that we can get a discount with wedding vendors. Especially if you get married during peak wedding seasons or if you're eyeing in-demand wedding suppliers, you might find it challenging to make them agree to your preferred price. You will compete with others, and others might be able to pull strings. You should have someone on your side fighting with and for you. Wedding planners have been in the business for a long time, and they already know how to negotiate and close a deal with the suppliers with discounts! They are on an ongoing business, and they have trusted suppliers that they've worked with for years. It's not a guarantee that they can score you discounts, but they will have better chances when it comes to bargaining. At the very least, they can haggle to get you some freebies. 7. The wedding planner can help you with almost anything. They are like your wedding best friend, and they won't say no if you ask for help as long as it's within their capacity! If you resort to asking your friends or relatives, they may not be able to help you with some things because they may not be good at it, or they just don’t know how to make it work. 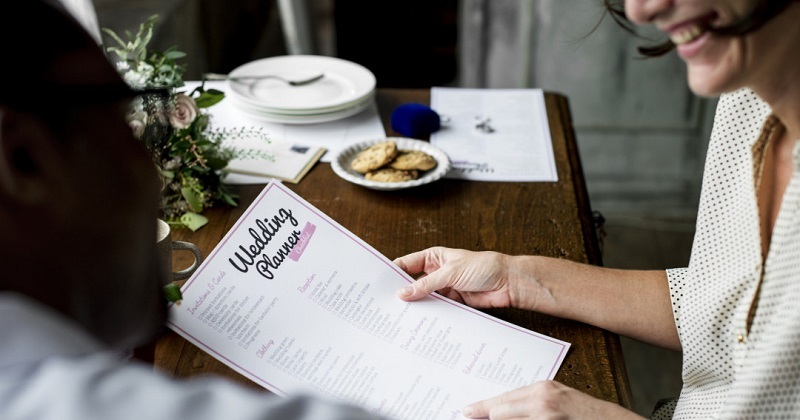 With a wedding planner, you can lay out all your terms and read up on all of theirs through your contract, and you can agree on what you can expect from them. Do you need an outsider opinion on which wedding dress style looks best and which one you should pick in a bridal store? Have you given up on following up with that annoying wedding guest who hasn't sent in his RSVP five days before the wedding? Trust that your wedding planner will be willing to help you. In some cases, Filipino couples who are working overseas would plan to hold their wedding in the Philippines. From the time they get engaged until the wedding day, these couples may not have enough vacation days they can use to go home and prepare for their wedding. It's in these cases that wedding planners can step in, do the big tasks for the couple, and assist them all throughout the wedding preparation, which really sets them apart from wedding coordinators whose major responsibilities all happen just on the day of the wedding. 8. They can provide solutions to last-minute problems. There will always be something that will try to ruin your big day, but if you are in good hands, they can find a solution for it even if it happens at the last minute! They don't have only Plan B, but also a Plan C, D, and E! If the professional has handled numerous weddings over the years, chances are, they have already experienced various wedding planning and wedding day mishaps. They already know how to troubleshoot or have the necessary preparations in place to avoid the usual issues. Did your wedding reception venue—*knock on wood*—catch on fire, and you need to find a new venue in time for your wedding? Did your dress get a tiny rip that needs to be fixed? A wedding planner that's willing to go above and beyond for clients will be there to the rescue. You can bet that they are multitalented and flexible individuals who are dedicated to making you a happy bride and groom. 9. They are experts at wedding planning. No one knows how to run a wedding better than a wedding planner! If you have a dream wedding in mind, don't ever hesitate to hire them. They will give you the wedding that you've always been wanting to have because they already know the dos and don’ts. They will make sure you get what you want and just enjoy your day at your wedding. If you're thinking of entrusting wedding planning duties to an inexperienced sibling or a close friend, it can be very risky. You might think it will help you cut on wedding costs, but their inexperience can be more expensive eventually. You don't want to take that risk. Unlike an on-the-day wedding coordinator, on the other hand, a planner will be with you every step of the way. From the start of your wedding preparations to even after your wedding, you will have someone to rely on. Just make sure you get a full-service planning package and you trust in a credible company. 10. You will have more spare time and peace of mind. You need to enjoy your engagement because it only happens once in your lifetime! Go and travel with your fiancé, rediscover new places with your bestie, and spend more time with your family. If you're an overseas Filipino worker or if you and your groom are too busy, you can trust your planner to make sure everything goes smoothly. The bride-to-be needs to have that glow during her wedding—not bags under her eyes! The groom-to-be shouldn't spend his big day consoling his partner after experiencing setbacks, too. So relax and let a wedding planner do the job for you. BG Bridal Gallery offers full-service wedding packages that cover planning, on-the-day coordination, and other essentials, such as the wedding photo-video coverage, gown, suit, flowers, invites, and more. Contact us to know more.